It's all about the game for Nicholas and nothing is better for him than winning a "Man of the Match" trophy for his hard work! 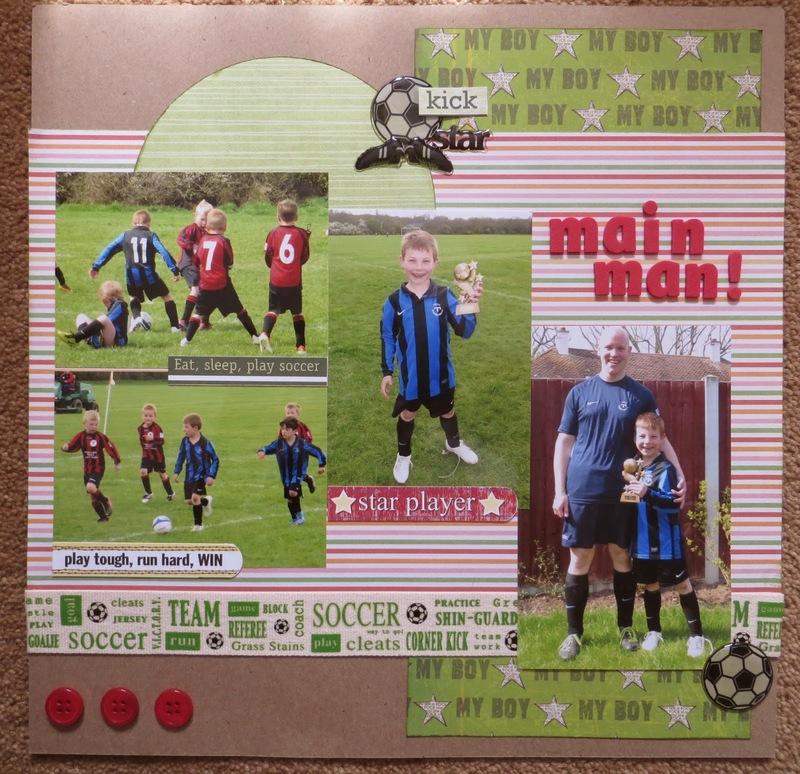 These photos were perfect for the challenge of a sports themed layout. Fabulous sports page! Thank you for playing along with us at Red Carpet Studio! Awesome page. Thanks for sharing at RCS.